Make the tables look neat and tidy with this menu stand. 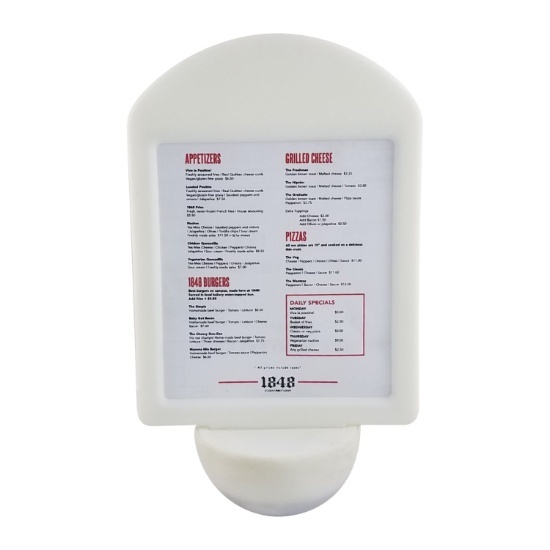 Boasting ingenious workmanship, this menu stand effortlessly stands upright on your restaurant table without easily tipping over and displays your new food and drink delicacies to attract your customers. Its double-sided display allows showcase of different content to ensure every piece of information Is presented in a legible manner. • Name: Tumbler Menu Stand. • Feature a Tumbler design. • Stand upright to display as much information as it could. • A nifty must-have of every restaurant table.